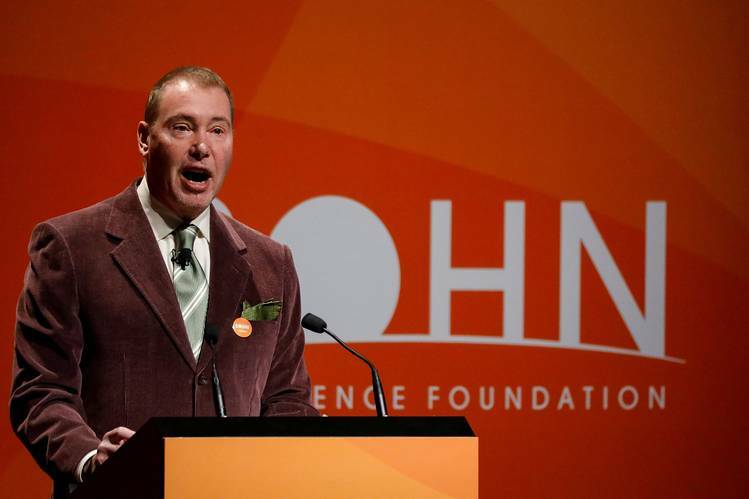 Bond king Jeffrey Gundlach’s comments three months ago at the Sohn Conference in New York, which raises money for charity by inviting investing legends to share their stock tips with the masses, were more accurate than he could have imagined. Once again, investors would have been better off picking companies by throwing darts at stock tables than listening to Wall Street’s geniuses. Mr. Gundlach’s suggestion to short the shares of Facebook and to go long on an exchange-traded fund of oil and gas explorers, for example, would have lagged behind an S&P 500 Index fund by 24 percentage points through Monday’s close. At the time of the conference, Heard on the Street columnists took on the stock pickers by throwing darts to create a portfolio of 10 stocks to go up against the 12 stocks picked by the Sohn speakers. Three months later, the darts have prevailed. The Heard team’s 10 picks, eight long and two short, have returned 7.23% on average. The combined performance of 12 picks by Sohn attendees has been slightly negative, lagging behind the S&P 500 by more than 6 percentage points. Burton Malkiel did perhaps more than anyone to popularize the notion that investing expertise is overrated in his classic book “A Random Walk Down Wall Street.” Despite some overwhelming evidence before and after the book’s publication and the rise of passive index funds, the Sohn Conference is closely followed and attended by thousands of paying investment professionals. 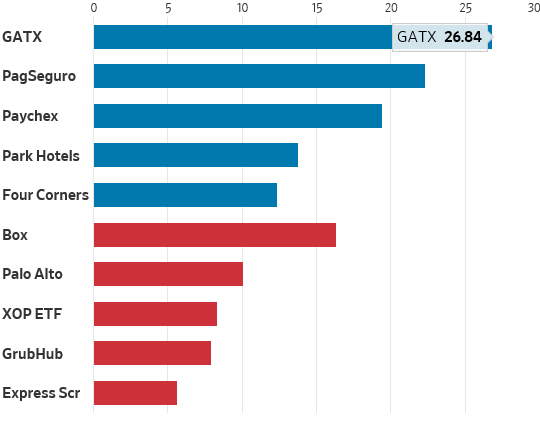 The top pick from the darts was railcar leasing company GATX , up 27% in the past three months. The leader from the experts was a recommendation from venture capitalist and former Facebook executive Chamath Palihapitiya to buy Box . Yet, while Box was up a solid 16%, it lagged behind three dart picks. We will update this every three months until the next Sohn conference. Maybe the Heard on the Street team will be invited to throw its darts on stage next year.